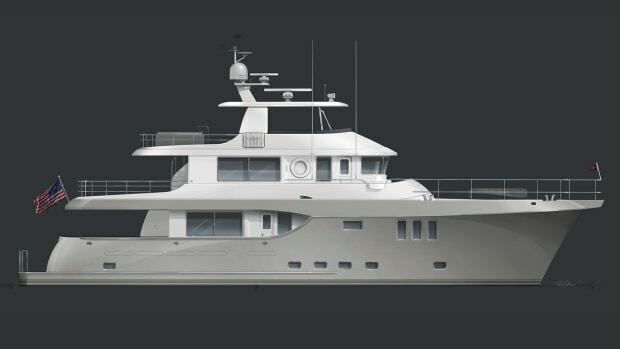 The British builder’s latest design departure is one for the books. 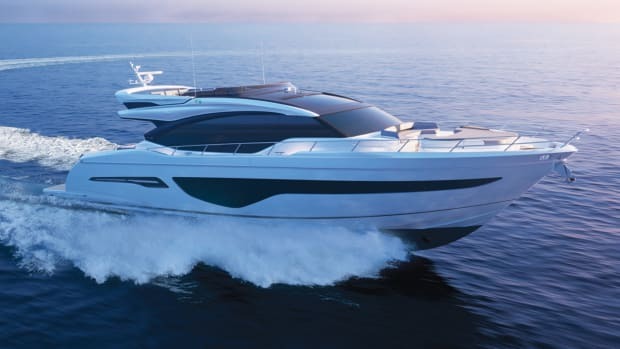 Princess Yachts hasn’t always been known for being on the cutting edge of design. 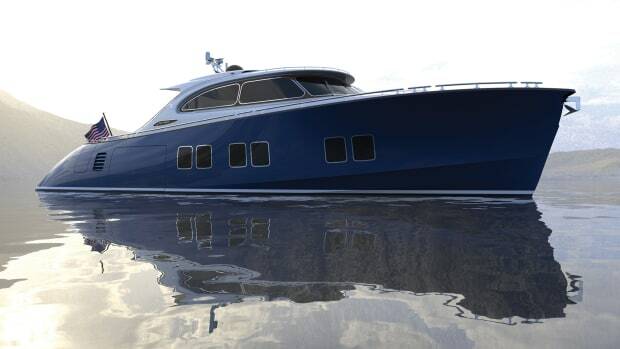 Until recently, the British builder had five classes of yachts ranging from 40 to 130 feet. The introduction of the R series—an automotive-inspired line with foils—in 2018 came as something of a surprise. With its new X series, the builder continues with the design departures. The first in the series, the X95, has a decidedly modern feel. 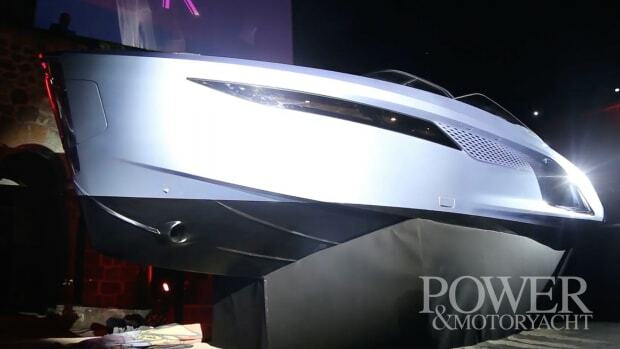 “We’re trying to create something that’s going to draw boaters in who are looking for something Princess doesn’t offer right now,” says Princess Yachts America Vice President and Marketing Director James Nobel. 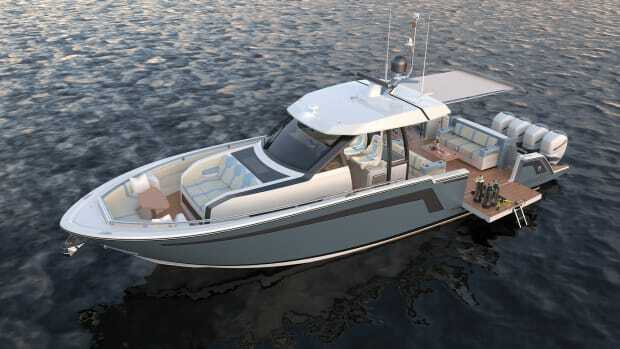 The enclosed pilothouse, nearly full-length flybridge and open-concept main deck are where the boat is expected to shine, but Nobel says it still retains the feel of a Princess. 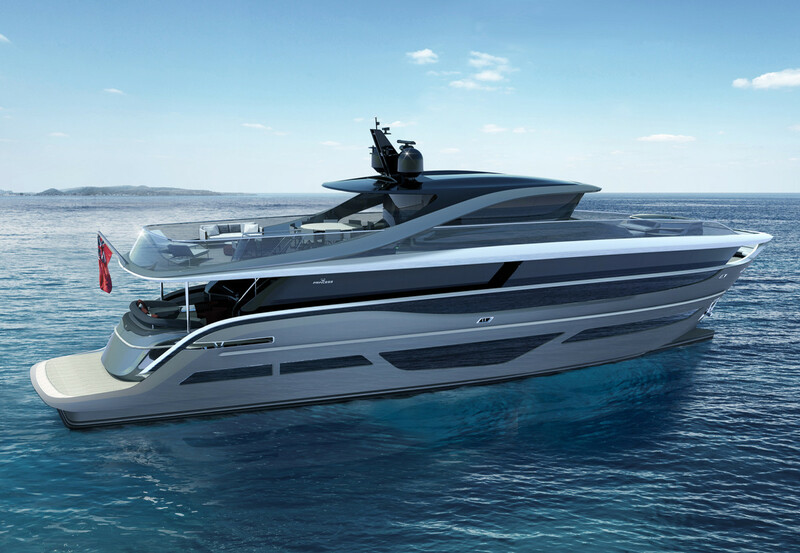 The X95 is designed with two main buyers in mind: existing customers upgrading from the 70-foot range, and new customers downsizing from bigger yachts. 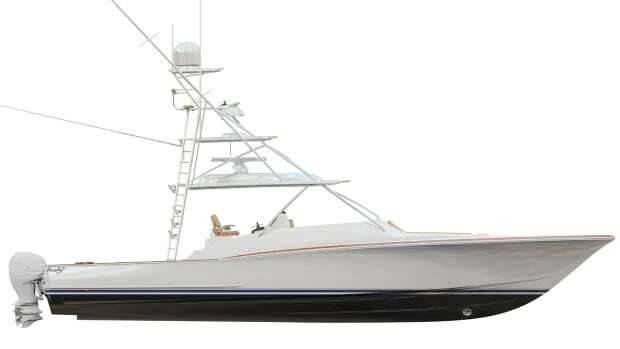 A modified deep-V hull is designed to increase efficiency. 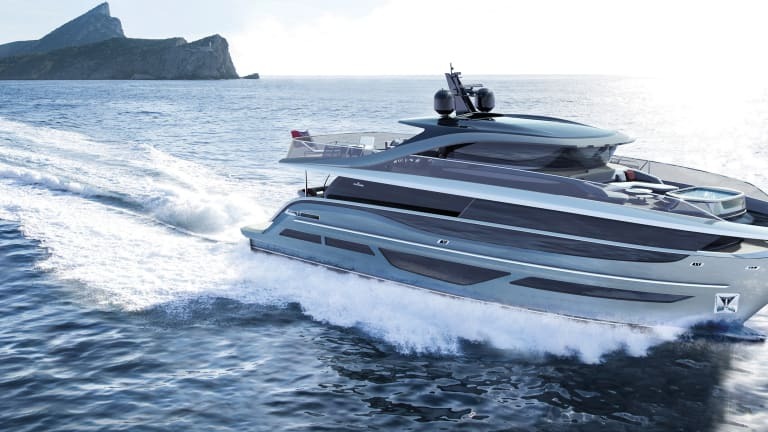 The boat’s large volume comes at the cost of speed (top speed is anticipated to be 24 to 26 knots with twin 1,900-hp MAN V12s), but that’s to be expected with a boat of this size. “It’s not meant to go 35 knots,” Nobel laughs. 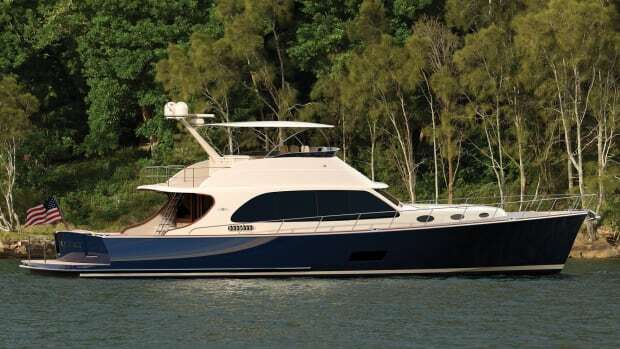 What it is meant to do is offer open-concept living on both the main deck and the flybridge, which has been fused with the foredeck for a spacious alfresco living area. 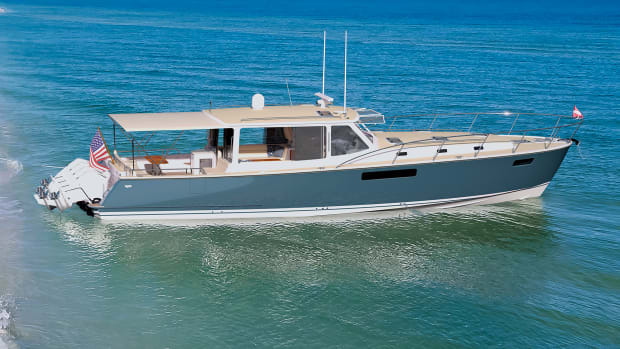 Instead of accessing the foredeck by climbing down from the flybridge and stepping out forward, owners will be able to walk unimpeded from aft to bow on the flybridge level. The optional main deck master suite provides single-floor living for folks with limited mobility, who can move between the bedroom, salon and galley without ever encountering stairs. 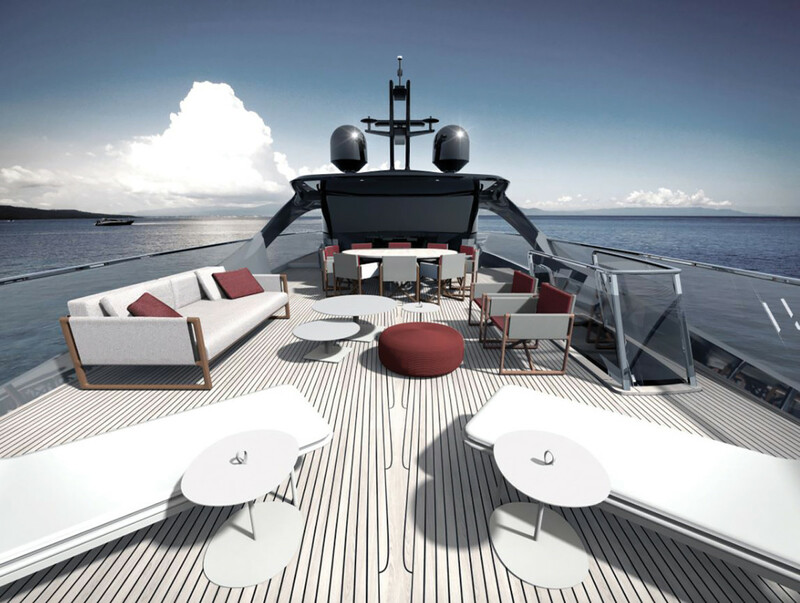 Instead of seeing a TV screen when sitting in bed, owners in the forward-facing master will have sweeping views of the water. 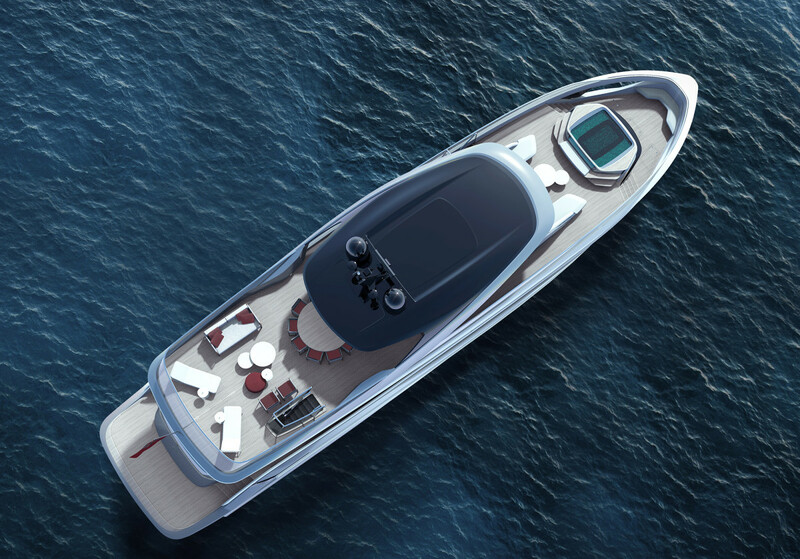 “With each new model, we push the limits of how much glass we can build into the hull and superstructure,” says Nobel. Conceptualizing the X series has pushed the design team, and the builder as a whole, out of its comfort zone. “It’s challenging to the design team because they have to go outside their normal box,” says Nobel. But that’s what innovation requires.